In this day and age literacy is an essential skill. For many immigrants, including Syrian refugees arriving in Canada, English proficiency can be quite the struggle. Fortunately for them, Frontier College is offering programs specifically for our new Canadians! 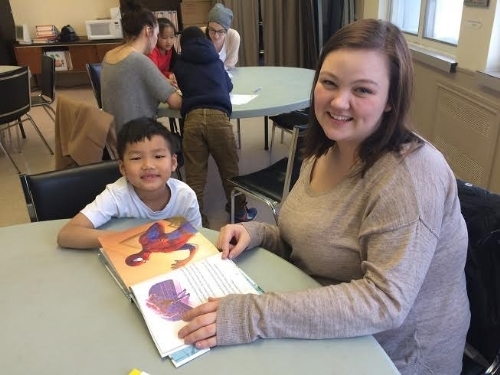 In collaboration with the Multicultural Association of Fredericton, Frontier College’s literacy programs are designed to help new immigrants and refugees adapt and integrate into Canadian society. The programs are extensive, and have helped approximately 75 youth and 20 adult newcomers in our capital City. They are offered free of charge to immigrants and refugees and are taught almost entirely by volunteers, who gain leadership skills, and precious volunteering and teaching experience. The teachers and staff at Frontier College have, in recent years, been looking into ordering new textbooks for the adults of these immigrants and refugee families as the books previously used were somewhat outdated. Thanks to the $3,000 grant provided by the Fredericton Community Foundation, their new books are here! As Chinese philosopher Lao Tzu said “A journey of a thousand miles begins with a single step”, and for the newcomers to Canada, that single step for them begins with literacy.